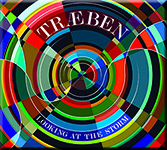 Looking At The Storm is Træben’s third cd. Rough sounding rock guitar and bouncing rhythms are setting the mood in the faster parts and form a natural contrast with the clear melodies which are already known from the previous albums. 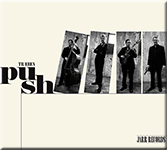 Push is a playfull cd. Crisp when in its swinging gear, making one’s heart melt in its ballads. It consists original compositions only, characterized by strong melodic statements which are setting the mood for the songs and improvisations. 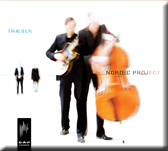 On their first cd Nordic Project Træben fused the rhythmic wealth and modern harmony of today’s Jazz with the melodies of Scandinavian folk songs. Some of the songs are written by Cornelis Vreeswijk. A Dutch man who emigrated to Sweden and became a celebrated national poet and composer.